On December 8, 2013, after months of internal debate, a group of Jewish students at Swarthmore College voted unanimously to declare its Hillel an “Open Hillel,” making it the first Hillel center officially willing to partner with organizations and students regardless of their opinions about Israel and Zionism. Swarthmore’s decision to come out as an Open Hillel took many older members of the Jewish community by surprise. Despite Swarthmore’s small size, its unexpected declaration has brought the Open Hillel movement to the national stage. Until now, most Jewish college students assumed that open dialogue on Israel was a taboo topic in Hillel—Swarthmore debunked that myth. Swarthmore’s Hillel is part of Hillel International, the umbrella organization that has a presence on hundreds of college campuses around the world. Self-described as the “foundation for Jewish campus life,” its community centers aim to provide Jewish college students of all religious stripes a place to worship, socialize and engage with Jewish culture on campus. But as much as Hillel should be applauded for its commitment to religious pluralism within the Jewish community, it remains ideologically monolithic on one highly charged political topic: Israel. According to Eric Fingerhut, a former US congressman and the current president of Hillel International, Hillel draws the line when it comes to partnering with groups or individuals who identify as “anti-Zionist” or who support boycotts against the Jewish state. 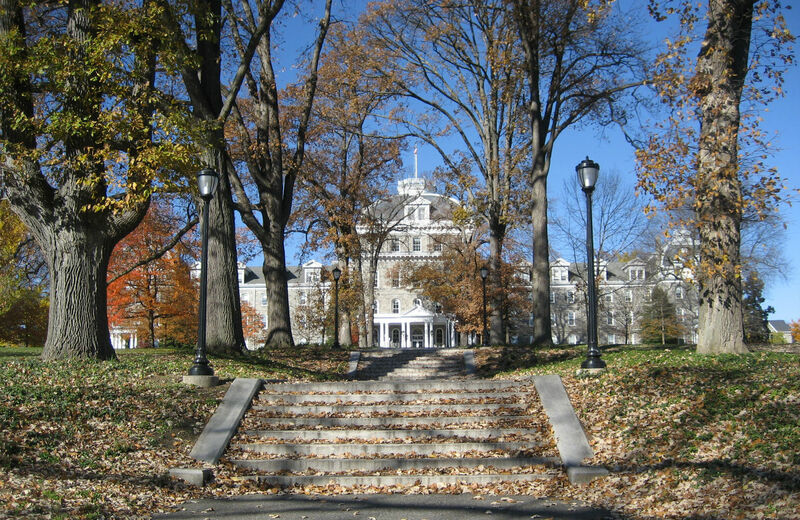 “Let me be very clear,” he wrote in a letter addressed to the communications director of Swarthmore Hillel’s student board, “‘anti-Zionists’ will not be permitted to speak using the Hillel name or under the Hillel roof, under any circumstances.” By declaring themselves an Open Hillel, the board of Swarthmore’s Hillel openly defied Hillel policy. The idea of Open Hillel was first introduced by Jewish college students at Harvard after an event planned at Harvard’s Hillel was cancelled by the local Hillel director amid pressure from local Jewish sponsors. The sponsors argued that the planned event violated Hillel International’s policies by partnering with a student organization that supported boycotts against Israel. Many Harvard students were surprised—and outraged—after hearing about the cancellation, and several of those students went on to create the Open Hillel movement. “We seek to change the ‘standards for partnership’ in Hillel International’s guidelines, which exclude certain groups from Hillel based on their political views on Israel,” reads the “About” page on Open Hillel’s website. As someone who believes in Open Hillel’s campaign to promote free speech at Hillel, I find it exciting to see that it now draws support from college students around the country. Emily Unger, a co-founder of Open Hillel and a former student at Harvard, says that the movement already has recruited activists from all around the country. “Students from more than a dozen schools are actively part of our leadership,” she says. These activists have, in addition to lobbying other campus Hillels to become Open, written letters to Hillel’s president urging him to change Hillel International’s official policies. As Open Hillel works on adding more colleges to the movement, evidence points to its growing popularity in the younger Jewish community. The Open Hillel website features a petition with more than a thousand signatures. “We have supporters from across the political spectrum—Zionist, non-Zionist, anti-Zionist,” Unger mentions. “Shockingly, we’ve received very little negative feedback—there have been two or three pieces of hate mail, but almost all the emails we’ve received have been supportive,” she says. Although Hillel International has not yet decided to cut off funding to Swarthmore, it is quite likely that it will, especially if it hosts the type of event that violates Hillel International’s policies. That shouldn’t be a major problem for Swarthmore Hillel, which receives most of its funding independent from Hillel International, but other schools, dependent on the umbrella organization, face a greater potential financial loss by becoming open. In spite of this, Vassar College followed in Swarthmore’s footsteps last week when the Hillel-affiliated Vassar Jewish Union became the second Open Hillel in the country. As Swarthmore’s Open Hillel continues to operate under its new free-speech guidelines, Jewish college students across the nation will monitor its success. There’s already evidence that Swarthmore’s more inclusive model is attractive to students: more students than ever before have been attending its Sabbath services. According to Swarthmore board member Josh Wolfsun, Swarthmore would like to keep the Hillel brand name. “We do not want to disaffiliate from Hillel International—we want to challenge the organization to be better,” he says. In fact, in response to the apparent widespread support for Open Hillel, Hillel’s Fingerhut recently agreed that Hillel International must re-evaluate its Israel guidelines. However, it’s going to take more than words to convince the folks at Open Hillel that Hillel International is actually prepared to shift its stance on the Israel debate. And until the organization formally ends its discriminatory policies, this group of Jewish activists will continue to lobby hard in support of open dialogue. Aryeh YoungerAryeh Younger is the current editor-in-chief of The Beacon, an online publication for and by the younger Modern Orthodox Jewish community. He has studied at Israel’s Yeshivat Har Etzion and New York’s Yeshiva University. His writing has appeared in The Daily Beast and The Jerusalem Post.